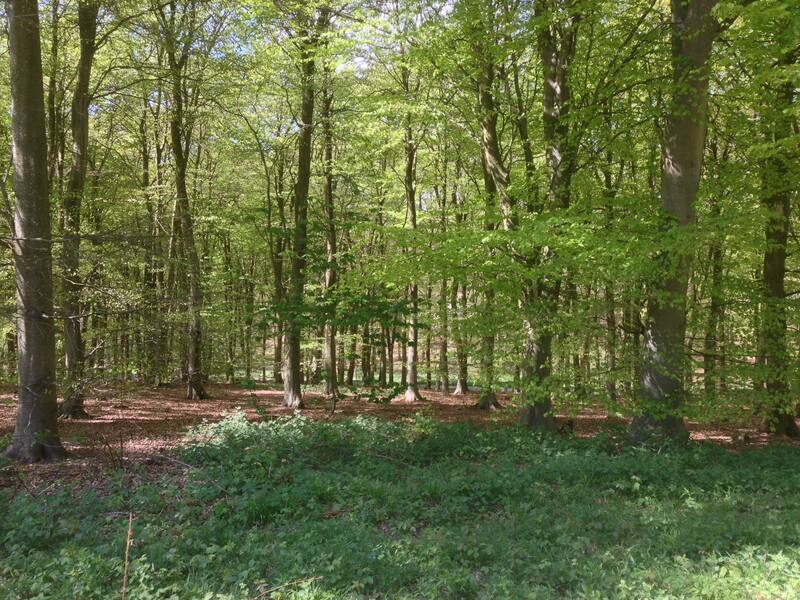 This forest walk in Sussex introduces you to Friston Forest is a thick band of ancient beech woodland, west of Eastbourne near the eastern end of the South Downs National Park. 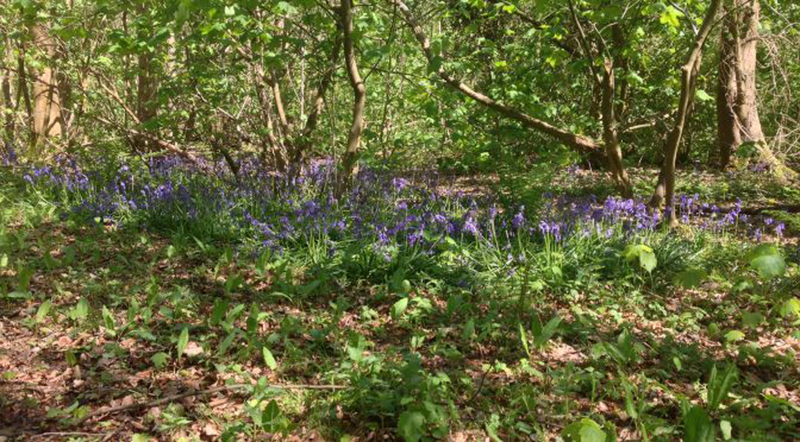 Managed by the Forestry Commission, it is crisscrossed with waymarked paths just right for gentle – or strenuous – springtime walks or cycling. Time a walk perfectly and you might be treated with clouds of bluebells, near the end of May. Our friend Brian Snow, a retired innkeeper who lives near the coast in Brighton, spends a lot of time exploring the country lanes and ancient forest trackways of England’s southeast, especially the South Downs. He posts brief reports on his explorations. 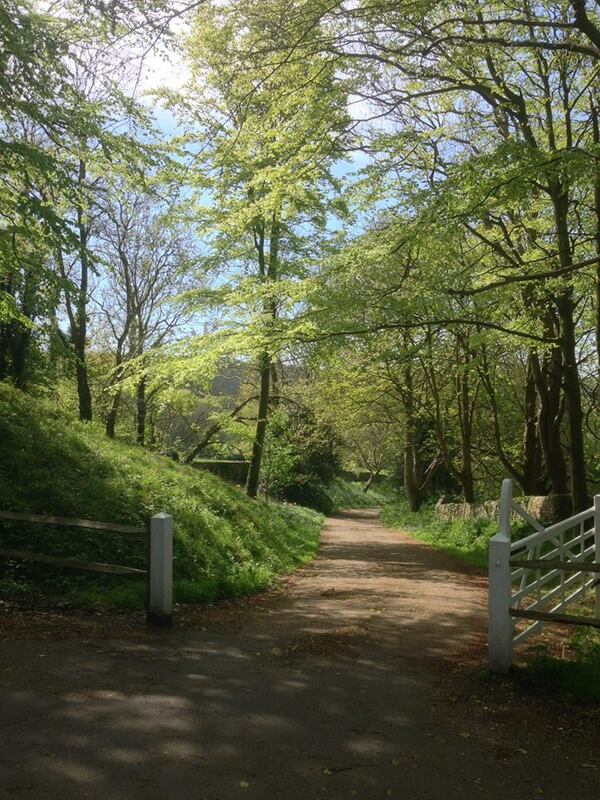 His lovely pictures of a Friston Forest walk to a hidden village on May Day are accompanied by words that are more like poetry than a walkers log. We asked him to share them with us. 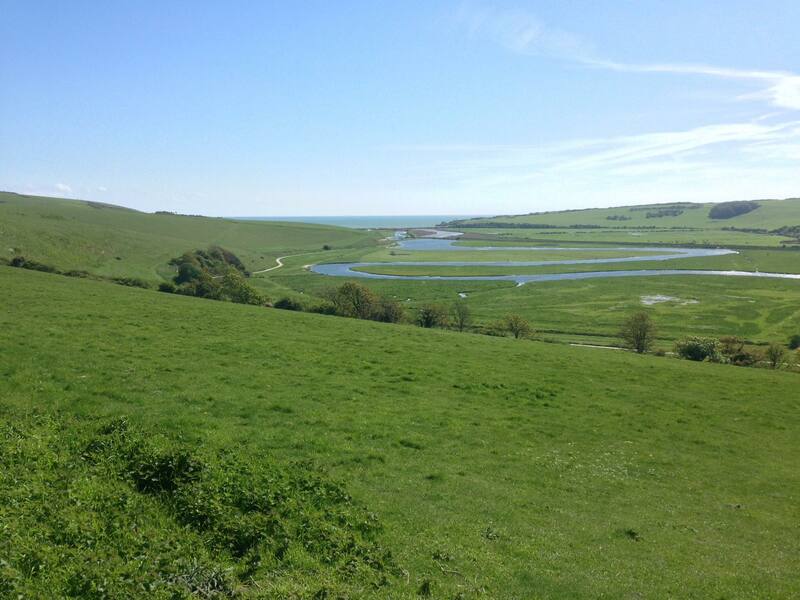 I took a bus from outside our home to Friston Pond. 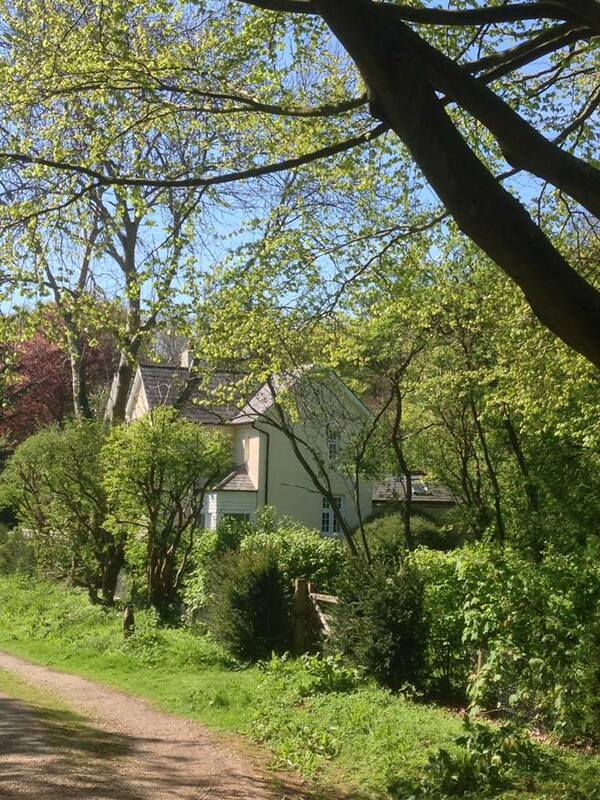 About 200 slightly precarious yards of country lane and you turn onto a charming avenue which slowly climbs into the forest. You cross a racehorse training gallop and head deeper and deeper into the woods. A charming lane leading into the forest. You cross a horse training gallop – sign posted. A shadow overhead alerted me to a red kite seeking an easy meal below. White butterflies occasionally joined me. All types of birdsong filled the warm May Day air. I came for bluebells but there were a few clumps not majestic drifts! My inner child urged me to follow any of the legion of unmarked tracks leading into the thickest parts of the forest but my adult self required that I stick to the map. A legion of unmarked paths. An hour or more of just me and nature and I came to the magical village of West Dean, seemingly forgotten in the forest, bypassed by the world as if of no consequence. 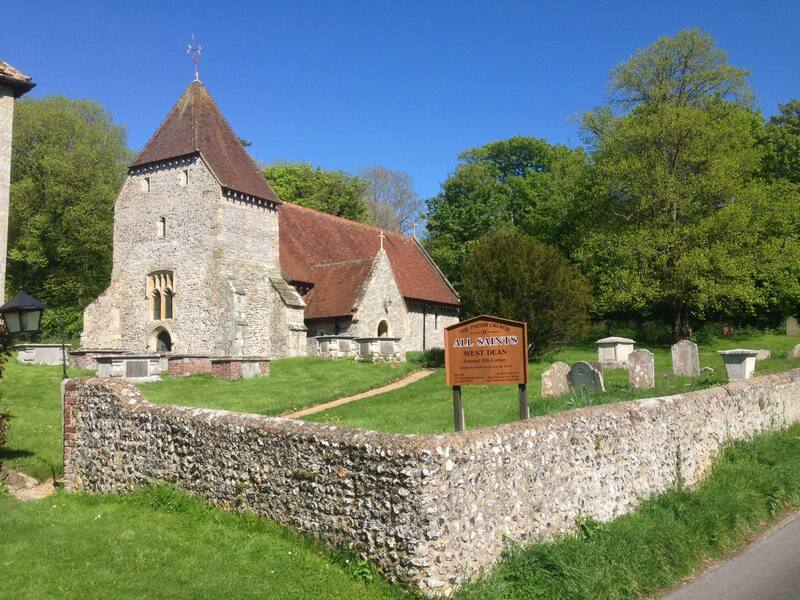 An enchanting place that feels like everything you imagine an English village to be. 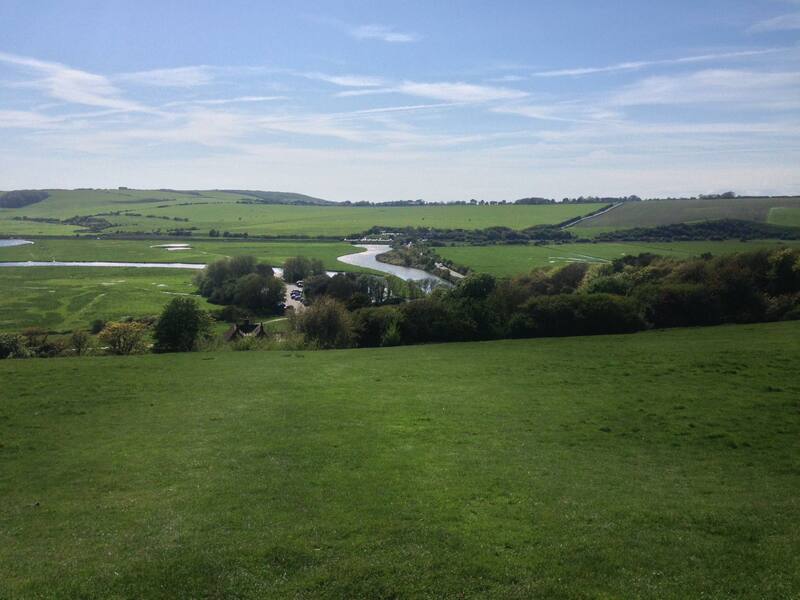 An arduous climb of wooden-fronted steps, cut into the hillside and held in place by stout wooden stakes, is rewarded by your arrival at a flint wall beyond which lies an open vista of the stunning estuary at Cuckmere Haven. 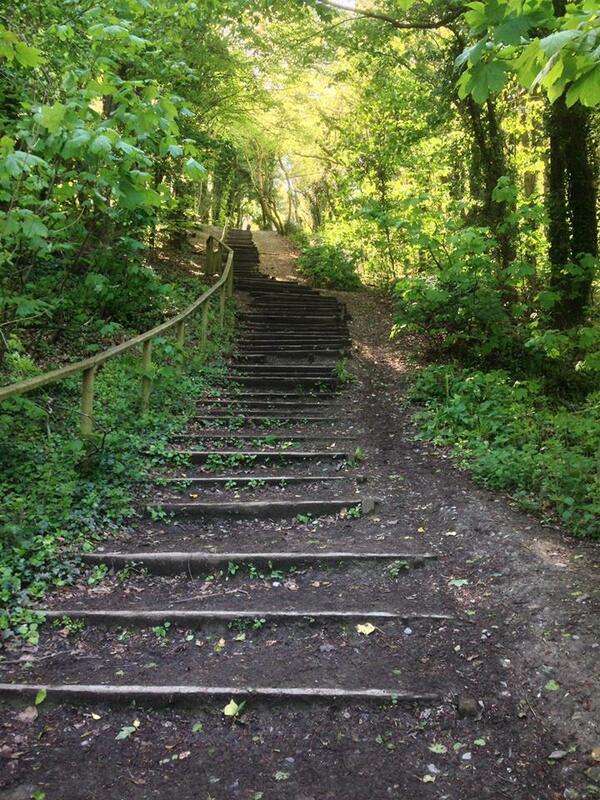 A steep descent through molehills and minutes later I am back on the bus to Brighton. Brian has posted full directions for this walk, including a map and bus directions from Brighton. Find the directions here.